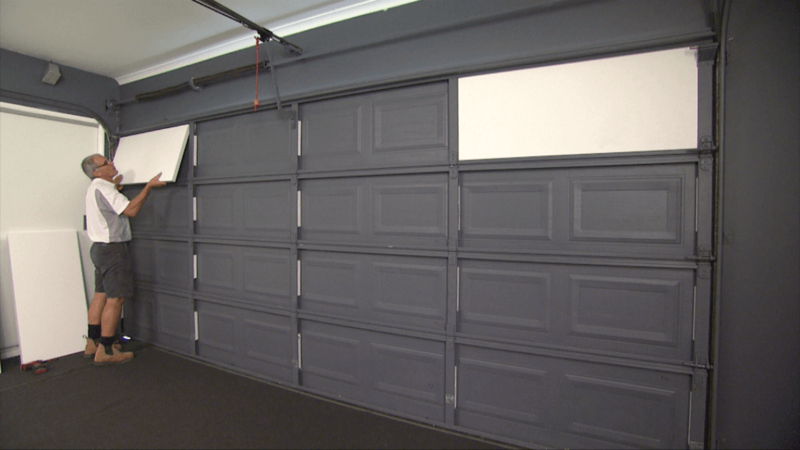 By simply adding ThermaDoor Garage Door Insulation to your garage door, you will increase the thermal comfort of your garage, reduce your energy bills, and provide an additional barrier against noise, creating a TRUE and COST EFFECTIVE improvement to your home. If you are among the many builders, designers or new home owners looking to achieve more energy efficiency throughout the homes you design or build, then consider ThermaDoor Garage Door Insulation as a whole-house approach to completing the insulation envelope around your home. Proudly Australian owned and manufactured, ThermaDoor is a construction grade expanded polystyrene (EPS) panel, laminated with an impact resilient, easy to clean vinyl finish. 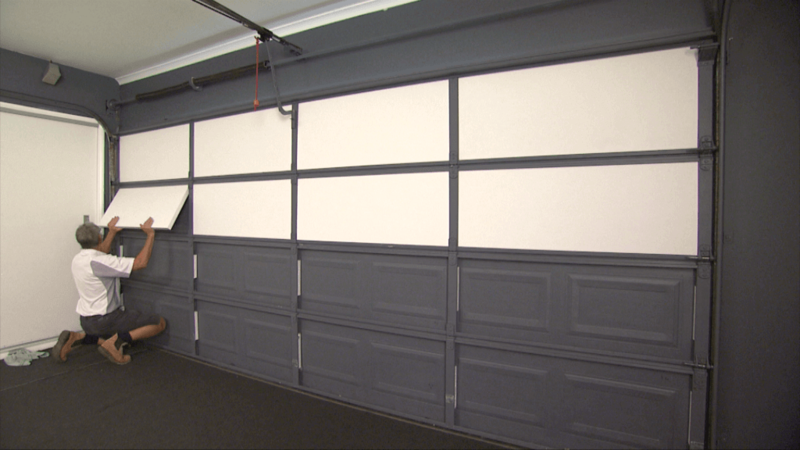 ThermaDoor Garage Door Insulation has been specifically designed to fit inside the panel of your new or existing sectional garage door. With a thermal value of R1.47, ThermaDoor Garage Door Insulation minimises the effects of our harsh Australian climate, by reducing heat loss and heat gain transferring through your metal sectional garage door. Installing ThermaDoor will result in better comfort and a better insulation system; a better value for today and an even better investment for tomorrow. More hard wearing than door mounted weather stripping, our floor mounted Door Dam / Garage Door Threshold Seal provides a tight, long lasting barrier between the bottom of your garage door and floor. Our external garage door seal reduces airflow into the garage by up to 96% and will provide excellent service and an extremely effective solution to eliminating all those annoying undesirable intrusions, dust, draughts, flying, crawling, slithering pests and of course seal out hot and cold winds. Available in flame retardant for bush fire zoned areas. We have a range of door seals and thresholds available for all types of garage doors. Block out the elements by closing the gaps around the door and floor with a sealing system. ThermaDoor has a wide range of garage door insulation DIY kits available to suit all sizes and brands of sectional garage doors. ThermaDoor are your leading AUSTRALIAN MADE garage door insulation specialists. With a few simple MEASUREMENTS we can assist you in determining the right size DIY kits required to insulate your garage door. With a few simple MEASUREMENTS and a photo, we can provide you with a free no obligation quote on insulating your garage door. CUTTING your panels to size is easy with no special TOOLS REQUIRED. We have a skilled network of fully trained and authorised DISTRIBUTORS right around Australia to assist you. Install your FOAM PACKERS to each panel section prior to FITTING YOUR INSULATION PANELS. Our guarantee is to provide you with professional service and quality workmanship every time. 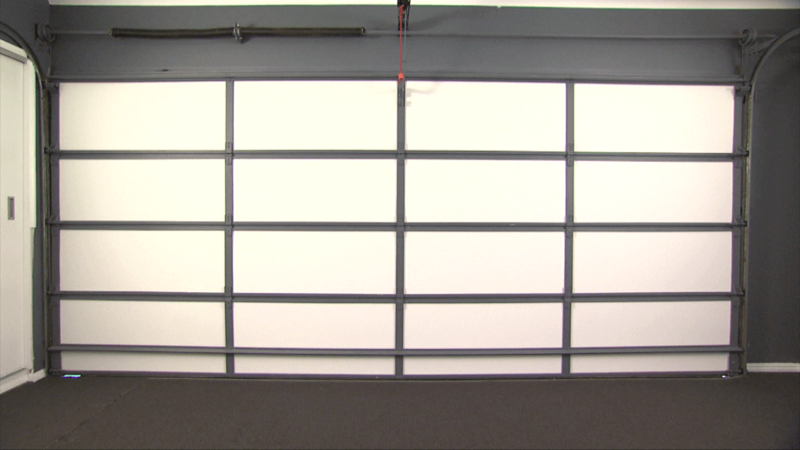 The insulation garage door manufacturers use and trust - talk to the experts today! It is our guarantee to provide you with professional service and quality workmanship every time, here is some feedback from our clients. I am very pleased with the result, I had the garage door insulated and the external garage door sealed and wouldn't hesitate in recommending ThermaDoor to anyone. ThermaDoor was the perfect solution for our need to create extra space for the teenage grandkids. We can’t believe how much it changed not only the look of the garage but the temperature too. We are delighted with the results and have already noticed a distinct drop in room temperature. Both installers attention to detail is something you can both be very proud of. I have received comments from all of the people who had the insulation installed. All have remarked on the quality of the product and would like to compliment you on the customer friendly and professional service you have shown us. 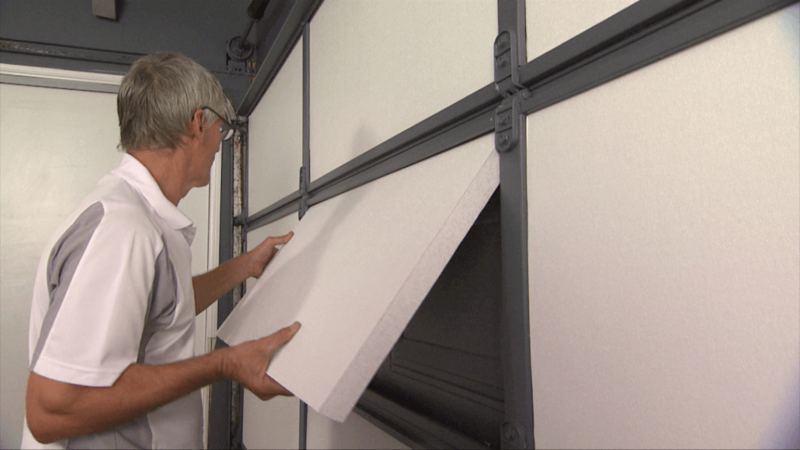 Proudly Australian owned and manufactured, ThermaDoor™ Garage Door Insulation is a construction grade EPS (Expanded Polystyrene) insulation panel, which has a reflective foil backing and is finished with an impact resilient, easy to clean vinyl laminate. Copyright © 2012 - 2019 ThermaDoor™ Garage Door Insulation. All rights reserved.